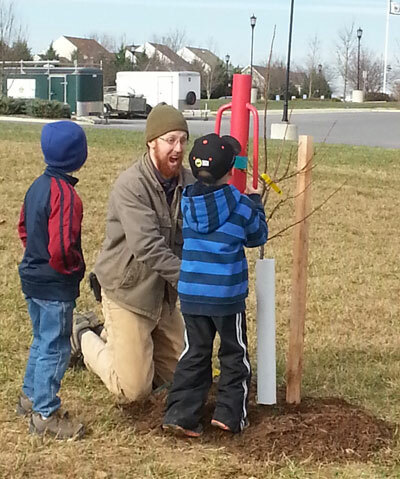 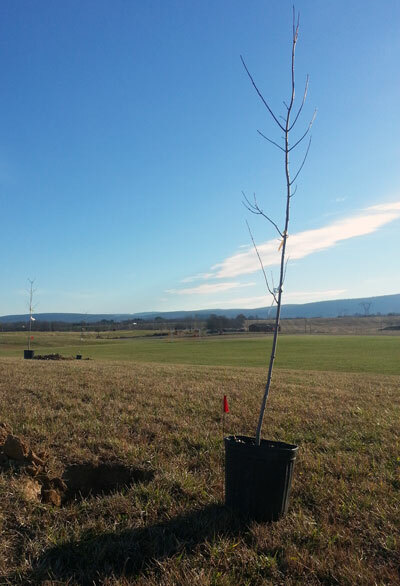 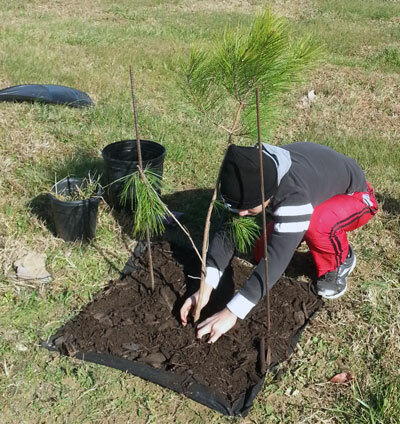 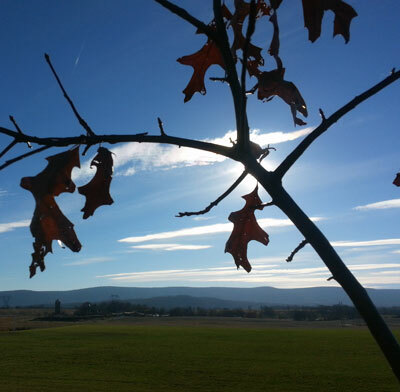 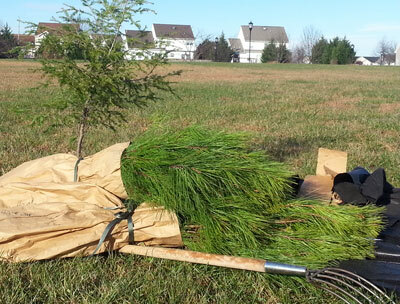 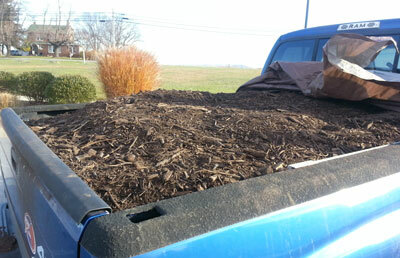 This tree planting took place on a sunny on October 29th, 2013 at St. James Catholic Church in Charles Town, WV. 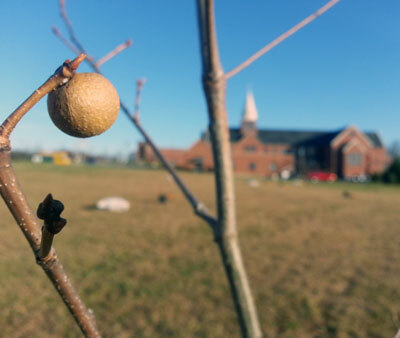 12 shade trees were planted near the soccer field behind the church, including oaks, maples, sycamores, sweet gums, and other shade tree species. 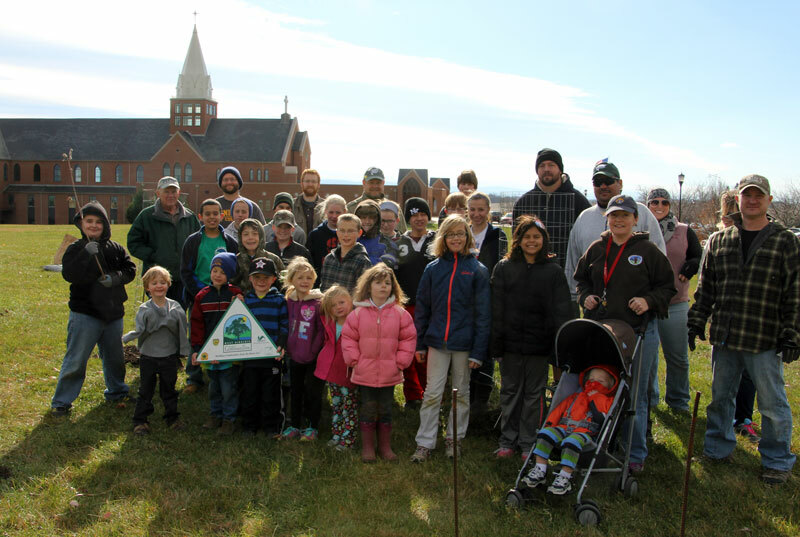 Additionally, the volunteers worked to replant around 40 evergreen trees from a Spring 2013 CTree project. 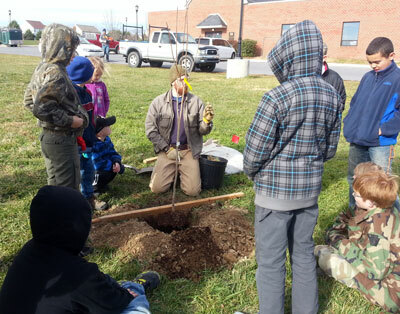 Throughout the day, 34 volunteers from the Knights of Columbus, Squires, Boy Scouts, American Heritage Girls, and Cub Scouts worked together to plant the trees. 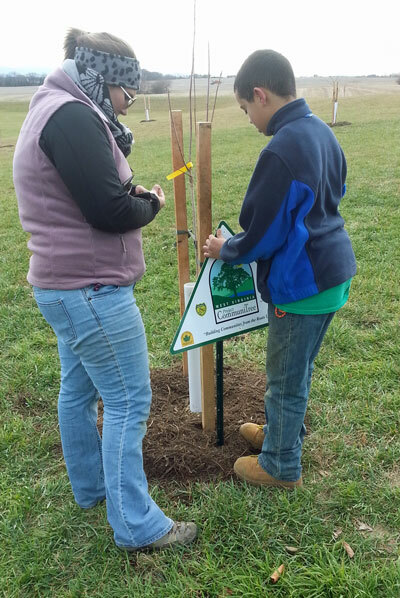 All of the volunteers, youth and adults, were educated on the benefits of trees and how to properly plant trees.